Building Maintenance of Connecticut Inc. | Building Maintenance of Connecticut Inc., serving Fairfield County. Building Maintenance of Connecticut Inc., serving Fairfield County. Building Maintenance of CT Inc.
Building maintenance is our business. We offer exceptional building maintenance services to meet your day to day needs. We commit ourselves to the highest level of performance and customer service, making us one of the most trusted maintenance companies in the area. We are honest, dependable and professional; we strive to meet our clients’ needs effectively and efficiently. Looking for a quality and affordable cleaning service? For more than forty years our family business has maintained its personalized 1-on-1 relationship with our clients. We pride ourselves in providing hands on owner-management of a dedicated, experienced, reliable and trustworthy work force. We commit ourselves to the highest level of performance and customer service, making us one of the most trusted maintenance companies in the area. We take pride in what we do - from floor to ceiling, and everything in between! Take advantage of our current cleaning specials and promotions . . .
We have used the services of Building Maintenance of Connecticut for nearly 10 years. They do an excellent job of cleaning and do it with a smile. I have called upon (Alan) for various cleaning "emergencies" over the years and he has always responded promptly and done what I have asked of him and more. I find him and his company to be an excellent business partner and I would recommend him to anyone. 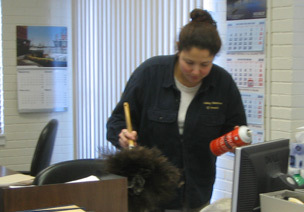 I have done business with Building Maintenance of Connecticut for over ten years for carpet cleaning, routine building cleaning and heavy cleaning post-construction. They are the complete package; responsive, knowledgeable, thorough and efficient, always with excellent results. Every time I have called on you to take care of any type of job, whether large or small, routine or complex, you have done so courtesy, promptly and professionally. It is hard to believe that we have been working together now for about ten years. I hope we can keep it going until we both retire. 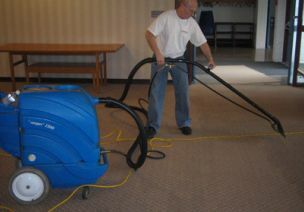 Gary R. Khachian, Main-Hoyt Realty Corp.
Building Maintenance keeps our 15,000 square foot building very clean. They clean our building every week night. They follow up on any special requests promptly and thoroughly. We have had very reliable and prompt cleaning services provided by Alan and Suzanne Reisch. They have maintained a cleaning schedule around the demands of the church building in a very courteous and accommodating manner. The owners are the most reliable, honest people to do business with. If there are any requests above and beyond the norm, they are willing and able to handle those requests. We have been extremely happy with their work, cooperation and willingness to help with anything we request. We strive to maintain the highest professional standards, delivering exceptional customer service, while exceeding our clients' expectations at all levels. We take pride in what we do - from floor to ceiling, and everything in between! Tell us your needs and we will work around your schedule in providing you with a very competitive estimate. © 2018 Business Maintenance of CT. All rights reserved.